test Inglese Ecco i miei fidati collaboratori, che condividono con me le aspettative, le ansie e le gioie di un lavoro a volte estremo: Dott. Emiliano Falsini, l’enologo: toscano, di Empoli, dopo la laurea conseguita presso l'università di Firenze, completa la sua formazione con esperienze in California, in Nuova Zelanda e Bordeaux. Fa parte del Gruppo Matura e segue interessanti progetti in rinomate denominazioni mettendo la sua passione e le sue competenze a disposizione di importanti produttori vitivinicoli. Fra le zone in cui opera basti ricordare: Bolgheri, Montalcino, Montepulciano, Carmignano, Chianti, Montefalco, Etna e Faro Doc. La sua filsofia: confrontarsi ogni giorno con coloro che sono l'anima del vino, i produttori, senza mai cercare di imporre uno stile che non sia consono alle loro aspettative. Ho scelto di lavorare con Emiliano perche' credo nel mio vigneto , nella mia terra , nella mia passione e sento di poter condividere tutto questo con lui. ...E poi la laboriosità di Vincenzo Avellina e dei suoi ragazzi, loro vengono da Maletto,sull’Etna, e non esitano ad alzarsi primadell’alba, pergiungere presto in azienda, pronti ad applicare le conoscenze e le tecniche che provengono loro da una tradizione viticola etnea più che centenaria. Spesso mi capita di sentirli cantare tutti insieme mentre chini, lavorano sulle viti...fantastico! Fabio Signorelli, Doctor of Viticulture and Enology. 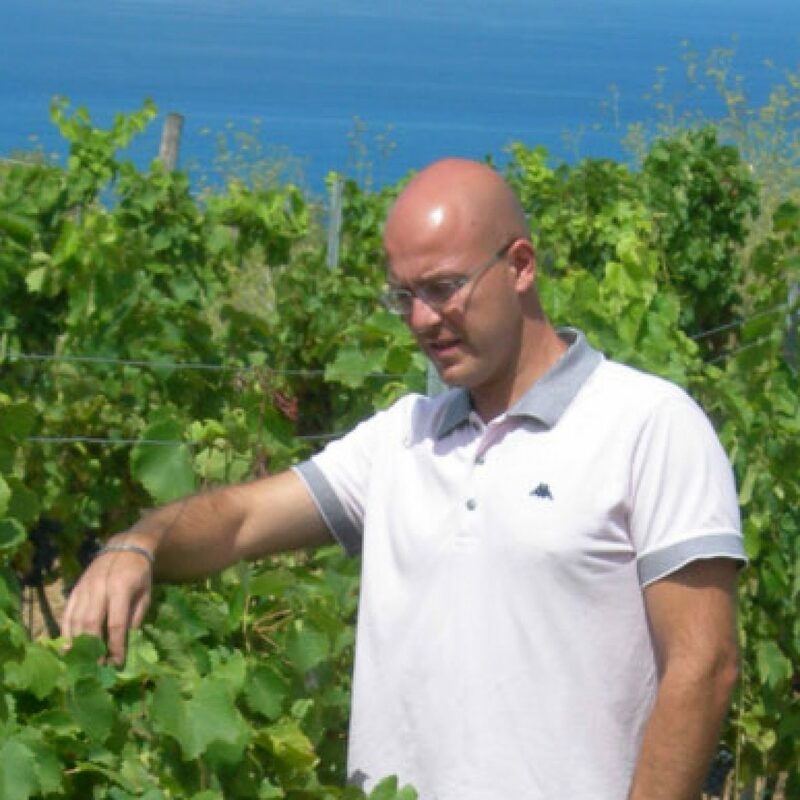 Dr. Emiliano Falsini, the winemaker. 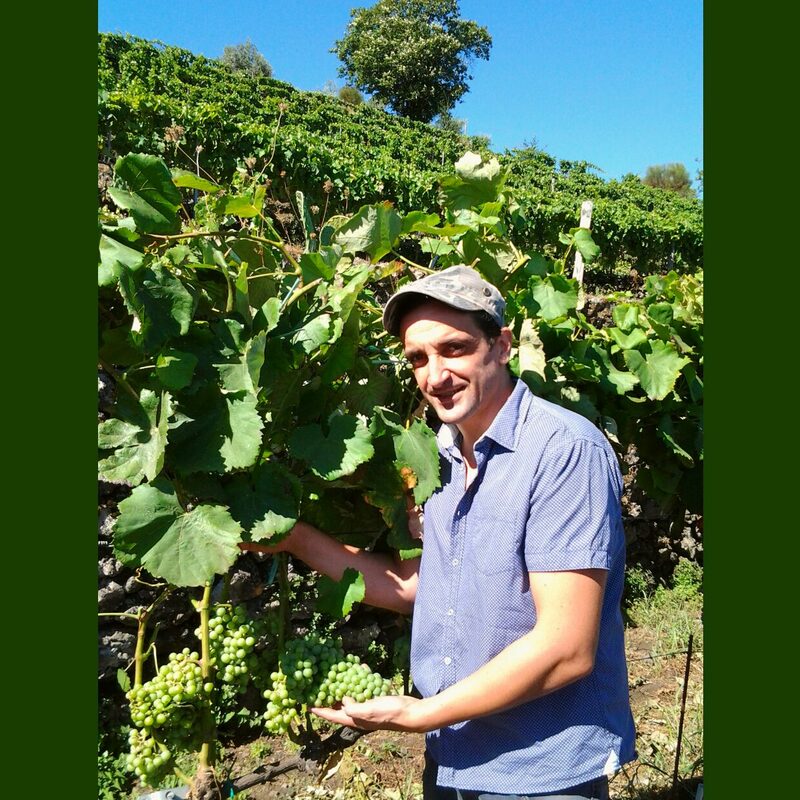 Toscano, Empoli, after graduating from the University of Florence, completed his training with experience in California, New Zealand and Bordeaux. It is part of the Matura and follow interesting group projects in renowned appellations putting his passion and his expertise at the disposal of major wine producers. Among the areas in which it operates just remember: Bolgheri, Montalcino, Montepulciano, Carmignano, Chianti, Montefalco, Etna and Faro Doc. His filsofia: face every day with those who are the soul of the wine producers, without ever trying to impose a style that is in keeping with their expectations. I chose to work with Emily because I believe in my vineyard, in my country, in my passion, and I feel I can share this with him. Trustworthy, tenacious, patient, a former paratrooper, the free-flying in the blue sky soft mothership landing in a cup of wine Enza La Fauci. If you are passionate, and she does her for years now, it is the long arm of Enza. 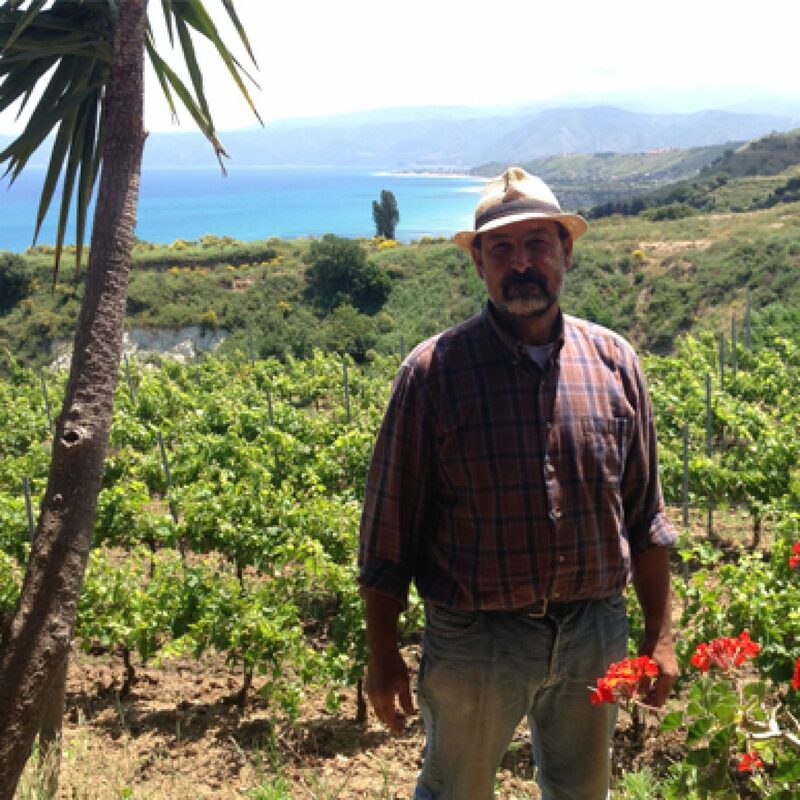 Runs and runs from the vineyard to the winery and makes a stop just to spend time with customers by sending them the passion and commitment that day after day feeding his work. 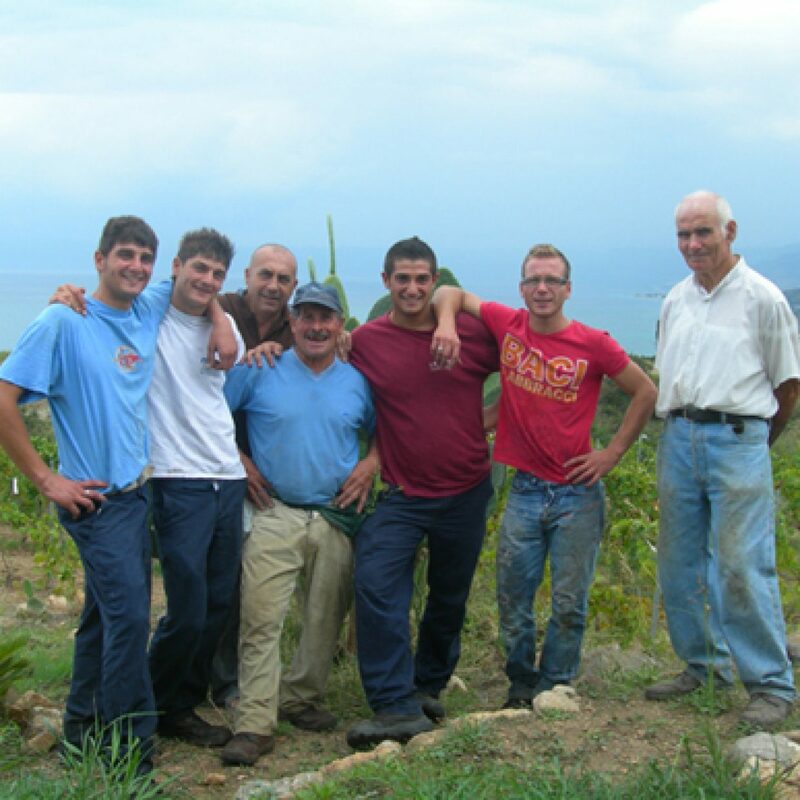 Class 82, true Sicilian, belongs to the new generation of engineers with their daily work trying to bring up the level of Sicilian wine production. Grandson of his grandfather winemaker, he graduated from the Agricultural University of Palermo and after a couple of harvests in Sicily decided to move in central Italy where he held various positions in some of the most famous Tuscan and Umbrian companies. 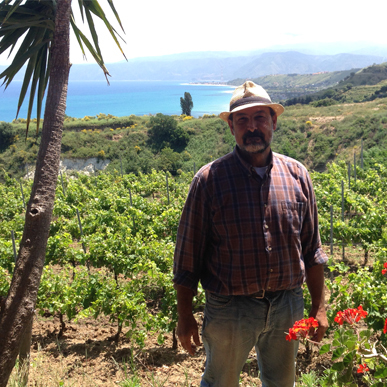 In 2009 he returned to our Sicily, Mount Etna and now lives in recent years has focused its activity in the production areas of the Etna and the D.O.P. Faro . It defines “a dreamer with his hands in the earth”, just watch him walk in the vineyard to notice the deep respect and love he has for nature. Says to listen to the plants, enters almost in symbiosis with them and understands their needs of the various periods of the year, bringing the vineyard in good condition for donarcj ripe grapes and quality. … And then the hard work of Vincenzo Avellina and his guys, they come from Maletto, Etna and do not hesitate to get up primadell’alba, soon to arrive on the farm, ready to apply the knowledge and techniques that come together by a tradition Etna wine over a century. I often hear them sing together and bowed, work on the vines … great!